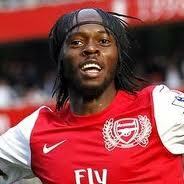 There are persistent rumours in the media that Gervinho is close to the exit door at The Emirates. Should he be sold? Can you remember a more infuriating player than our spindly Ivorian? Here we have a player with truly consummate skills – he has great pace, can beat 3 players with a shrug, can create space for himself in seemingly impossible situations, can play on both wings and given chances, he scores. So why isn’t The Mekon a first choice player, and why hasn’t he flourished in a team where his talents appear to fit? Sent off in his first game for trying to take a swipe at the hideous Joey Barton (you should have decked him). His first season was interrupted by a trip to the African CoN but a return of just 4 goals from 26 starts and 11 subs apps was sub-standard. It appeared that if you put Gervinho 3 yards from goal and asked him to shoot he would either miss the ball or miss the target -…… cow’s arse/banjo. 2012/13 was better. His confidence was raised by getting some lucky strikes but the ACoN once again deprived Arsenal of his services. At season’s end Gerv had made 18 starts (+8 subs) scoring 7 goals. An improvement but still unsatisfactory. Onto the negatives. We are not as solid defensively when Gervinho plays. He does work hard to track back but tackles like a wet paper bag; his crossing is poor – actually worse than poor, his passing is fine at close quarters but not so dusty over distance and his finishing is as clinical as a blind dentist. Mr Wenger seems to have decided that his attacking left sided player is Podolski. Mr Wenger has tried to play Gervinho on the right, on the left, given him the centre forward role, played him as shadow striker, tried to teach him to defend, tried to teach him to cross – nothing has really succeeded. Gervinho remains an anomaly – good at many trades, master of none. For me a Goner and not a Gooner. We all know what is at stake and tonight, we, and I mean those fans who are lucky enough to attend, have to push our lads to 3 points. As a child I had an idea that if all the fans on the North Bank simultaneously sucked in air at a corner kick then the ball was sure to go into the net. It just had to be delivered into the right area and the ensuing suction would ensure another goal for my heroes. I couldn’t understand why it wasn’t recommended in the programme! In later life I found that in times of stress and challenge a few deep breaths helped considerably, and I have a feeling many will be needed tonight because this is going to be a nervous 90+ minutes. 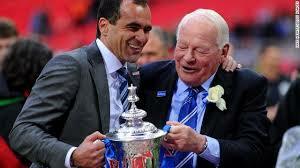 Let us begin by congratulating Wigan on a wonderful achievement on Saturday. To overcome the Northern Oilers with a team that cost less in total than any single player of the opposition was superb (and almost true!). How the win will affect Wigan is anyone’s guess; they could be exhausted by the emotional strain or be running on adrenalin. What excites me about tonight is that a draw is useless to both teams – like us, Wigan’s future is in their own hands, win two games and they stay up, and as such it should be an all-out attacking game. This should (?) play into Arsenal’s hands as we are unquestionably the better attacking team, even without Giroud. In fact, we have better players in every single position – in my opinion, there isn’t one Wigan player who would be first choice at Arsenal. As always, look elsewhere for tactics and statistics. Those that interest me are that Arsenal have won 9 out of 10 games at home to Wigan and Wigan have only lost once in May over 2 seasons. If Podolski is subbed tonight he will set a new AFC record of being subbed in the PL – 22 times! Much has been made of the referee tonight, our record with the Dean is played 15 won one! This season Dean has been in control of our defeats to both Bradford and Blackburn and was referee at Wembley when we lost to Birmingham. Corruption? Bias? Who knows but whatever the reason it makes no difference tonight, we jut have to win despite Mr Dean. I said a few weeks ago that our season could depend upon luck and decent refereeing – I wish Mr Dean a successful and enjoyable evening. Will we start with the same players who “thrilled” us in the opening 20 seconds at Loftus Rd and then bored us for the next 90 minutes, or will Mr Wenger make some changes? There is little alternative but to continue with Podolski at CF, though The Swerve may get a game in which we have to score. Ramsey has been outstanding recently but adds no goal threat whatsoever, Rosicky has flattered but not been consistent and we need goals. Gervinho, despite being infuriating can score, and tonight we have to not only be secure at the back but also clinical in front of goal (clinical and Gervinho in the same sentence!!). I want to see Wilshire. He may not have played well in his last couple of games but he remains our best player (IMO). He has the power and the vision to be the fulcrum of Arsenal’s future and we need him in big games. Yes, Ramsey does a better job defensively but good as he is Ramsey just hasn’t got JW’s vision. Just read that JW will start from the bench thanks to the need for a summer operation on his injured ankle . Defensively we are much improved with BFG and Koscielny developing a partnership which bodes well for the future – always assuming Koscielny doesn’t leave in summer. I prefer Gibbs to Monreal because Wigan’s main threat comes from Macnanaman and we must hope that whoever gets the shirt does better than Clichy did at Wembley. Would you prefer an all-out attacking display for our final home game of the season or a classic 1-0 to The Arsenal? I would take either, but prefer the former. Born in London, Tom was given (as I was) the wonderful book of Captain Robert Scott’s attempt at the South Pole, it fired his interest in exploring. At Uni he led climbing expeditions to the Andes, New Zealand and the Alps. By the age of 20, he had scaled 9 unclimbed mountains up to 20,000 ft, yet his heart was set upon traveling to the Poles. 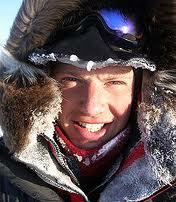 In 2002 Avery became the youngest Briton to ski to the South Pole and broke the South Pole speed record in the process. Inspired by Peary’s North Pole expedition he set off to replicate the American’s journey, attempting to ascertain whether Peary did in fact make the Pole. Using the same equipment and sleds as Peary, Avery reached the Pole in just 36 days, thus becoming just the 41st and youngest person to travel to both Poles. His next project is to sail solo around the world. The Premiership table shows that we are 5th, Wigan are 18th and over 30 points behind. Arsenal are at home, we have the best record in the PL over the last 8 games, we are on a great run – our last 12 games are W9 D2 L1 – PL winning form. And yet ….. Why am I so worried about tonight??? Arsenal’s goal of the season. Where’s The Arsenal “Goal of the Season”? 2. “The Hug”. The Group Huggy, “We’re all in this together” teamwork tap in. 3. “Le Ian”. Pure Rock n’ Roll this one. It’s the “Oh yes I bloody well can. Watch this”. Recently, I had a very nasty experience. I watched a goal-of-the-season compilation, and a video nasty it certainly was. Two Bales, two Nanis and none from The Gunners. Now I realize that we all go football matches for a variety of reasons, and there are a many ways that we all evaluate our day out. 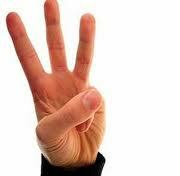 Hard fought win, entertaining game, high scoring and so on, and for sure it is usually a combination of these. However do you remember the warm glow within as you plod off away from the ground having won on the back of a “goal of the season” contender? Looking back at my categories above, we all have our favourites. “The Hug” speaks for itself and has Arsenal written all over it. Thing is though, it is a passage of play, albeit culminating in a goal. The goal will not be spectacular and this is my problem here. We perform beautiful little passages of play in almost every game, and they can happen in any area of the pitch. “The Take That”. Better. This is the 30 yard pile driver. The “pick that out if it’s not still too hot to handle”. I look at our squad and immediately think Podolski here. Of course the trouble is, opportunities are rare for him as ideally he needs to be moving, if not from central, then certainly from the right onto his left boot. “Le Ian”. Call me old school “rock n’ roll” but this is where it’s at. Wrighty against Everton all the way for me. What makes a truly memorable goal and why don’t we score more of them? Some might say the individual is drilled out of our boys and that the emphasis is somehow on walking it into the net. Are we afraid of failure or do we simply not have the individual talent? Sure, any of the back four can appear and “leather it”, or from a free kick someone can “Carlos Koemann it”, but generally speaking you should be looking to one of the magicians. A team that sets up the way we do will have four. Front Three and the Advanced Midfielder. Which of our boys do you reckon has the tools in his armoury to do “Le Ian”? Gerv for me, but I’m waiting. What do you call someone who does the opposite of supporting their own team? Well, yes, there is that, but this is a family blog so four-letter words are frowned upon. We need another name for them. I was pondering this question on Saturday while watching us struggle to break down a 10 man Norwich defence (more of a parked combine harvester than a bus, really). At this crucial time of the season, with a very real prize still to play for, you would think that the home crowd at the Emirates would really be doing its utmost to give the players extra belief and support. And I’m sure that’s exactly what most of the fans do and did. But watching live on the telly in North America it was depressing to hear the moans and groans start to reverberate around the ground after the first misplaced pass of the day. Now I’m all for moans and groans in the right circumstances, but not at a home game for my beloved Arsenal. I wasn’t the only person to pick up on this from the television coverage, as the Arsenal Arsenal comments on Saturday will attest to. However, not being there live, you always wonder whether the microphones are painting an inaccurate picture. Maybe the TV crew just happened to have plonked their sound recording kit next to the most miserable bunch of tossers in the whole ground. But the impression of a vocal minority sowing discord was soon backed up by AA regulars who had actually been at the game. Some even described how they had felt obliged to tell the moaners to stop moaning. But here’s the thing. I don’t believe that these fans (the moaners) are any less dedicated to the Arsenal than you or me. Like you and me they are fans (which, let’s remind ourselves, is short for “fanatics”). I imagine they live, breathe, dream and sleep Arsenal just like we do. They almost certainly care just as much and want what the rest of us want: a successful team playing great football and winning trophies. Well, OK, they “support” in the financial meaning of the word – in that they pay for their tickets and any in-stadium purchases and merchandise and this contributes to the upkeep and running of the club. But they do not “support” the team when it’s on the field of play. When our players enter the battle, we want them to feel “supported” – that is, that they have firm foundations of good will and encouragement from the fans – foundations that are demonstrated – in the time-honoured way of football – by chants, cheers and songs. So when some individuals in the crowd do the opposite of this, they are not “supporting” – they are, to continue the architectural/engineering analogy, “undermining” the team. So that’s it: the fans who prefer moaning and groaning to supporting and cheering are The Underminers. Sometimes the “weakening” that they cause is painfully visible. Take Gervinho. He came into the Norwich game off a few good performances. He had been scoring and assisting others to score. Perhaps crucially, those good performances had been away from the Emirates (Arsenal’s away support is, thankfully, almost entirely devoid of Underminers). For the first 30 minutes or so he was by far our most potent attacking threat and created several opportunities, not least from his willingness to attack the box and take on defenders. Most of the opportunities he created fizzled out and as each one did, the Underminers got louder and louder. Perhaps his best chance was when put through by a brilliant pass from Santi Cazorla. The Swerve took it round the Norwich ‘keeper but his touch was a bit heavy and the ball ended up going too wide for him to score. Instead he squared it along the goal line, perhaps expecting that Giroud might have bothered to anticipate such a thing. 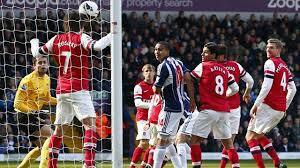 But Giroud had not and the opportunity died amid a cacophony of Undermining. Yes, Gerv had taken a heavy touch. In the same game I saw Cazorla, Wilshere, Walcott and Podolski all also have heavy or bad touches in good positions. The latter group received some murmurs of Undermining, but nothing like the scorn heaped on poor Gervinho. No wonder the Ivorian went into his shell a little after that. But that’s another characteristic of the Underminers: they like to have a target-du-jour on whom to heap their anger and vitriol. I was in the ground when a clearly mentally disturbed Eboue was booed to the point of tears some years ago and substituted by Wenger as an act of human mercy. I did not boo him. I just felt sad. Saturday’s Man of the Match – Aaron Ramsey – got his turn last season. How gratifying it see to see that he was tough enough to weather that storm and come back stronger than ever. Fabianski, Almunia, Denilson, Adebayor, Walcott and others were all targeted at different times. What frustrates me about the Underminers is that, as I mentioned earlier, they undoubtedly want the same thing as we Supporters (namely, Arsenal success). But they can’t seem to see that their very actions help make that success less likely. I might “want” to have a hundred grand in the bank, but if I don’t get a job (or at least buy a lottery ticket) it ain’t likely to happen. It’s counterproductive and they seem completely blind to the effect they have. I’ve seen Underminers with their kids in tow, the kids moaning and groaning and swearing at our own players just as much as their parents (Underminors?). So what do we do about the Underminers? Have they always been there? Did they arise with the move to the new stadium? Are they a sub-section of fans who were spoilt during the good times and now feel entitled? Are they the modern-day “consumers” (rather than fans) that we keep hearing about? Can we reason with them? Should we ban them? Thump them? Report them to the stewards for negativity below and beneath the call of duty? I would welcome your thoughts. And it would be especially interesting to hear from some self-confessed “moaners and groaners.” Maybe you feel that what you’re doing is for the best in the long run. 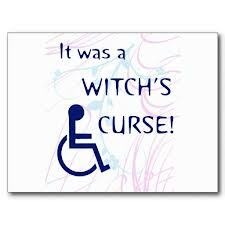 If so, please tell us your reasoning. Finally I would like to include a comment that 26May made yesterday, because I think it holds a lot of truth and informs this discussion: “…the performance of our home crowd is part of the reason players of promise have sometimes laboured to do well and part of the reason why we have failed to achieve what we should have. Let’s be honest. Dig deep inside and search for the the truth. You expect us to secure three points this afternoon. Go on, Admit it. If like me you never predict a win for fear of “boking” (Irish for curse) the team, then you will be doing all you can to pretend this is a difficult fixture against a team who have upset us in the recent past, but we all know we should beat Norwich today. I could continue but, should we lose, the pain of Norwich rubbishing all this evidence would be excruciating! So, we should be positive, and we should move in third place in the PL (let’s all laugh at Tottenham 😀 ). In my opinion, if the work ethic is in place and the team play with the verve they have shown in recent weeks, ….. Damn, I can’t write it. Negatives. Merts is out and ermmmm …… oh yes, Diaby is injured. Norwich have tried to play attacking football but have sadly failed. They play 4-5-1 and in Chris Hughton have a young manager who looks simply ridiculous in a suit and tie. After all, this man still retains the slime and excrescence of N17. All those years of floating in a cesspool take their toll – just look at Glenda Hoddle, Terry Vegetables and Alan Sugar. Nonetheless I will be saddened if they go down – which is a real possibility given that if they lose today they could be just one point from the drop zone. All right – Take it Easy – Keep your hair on (not in my case), I know Rosicky has been superb and that Ramsey is a ball of energy but this is my post and my team. I believe we should put out our best 11 players,and in my opinion this is the best Arsenal team. Of course, my favourite German (after Michael Schenker) is on the bench. The fitness of both Wilshere and Walcott will determine the starting 11. If they are only fit enough for the bench I would play Ramsey and The Ox. As to tactics, we will play as we usually do, and for lovers of decent football I hope Norwich don’t zaparkowac´autobus. An early Arsenal goal will open up the game and of late we have started well. More of the same, please. Today’s English explorer: Normally I focus upon expedition leaders and their derring-do, men who have taken the plaudits and the titles (assisted greatly by extensive facial hair) but today we will take a look at one of the unsung heroes, because behind every expedition are a number of brave and almost unknown back-up men, Alfred Cheetham (1867-1918) is one of them. Born in Liverpool into a poor family, he went to sea at an early age, joining the fishing fleets of Hull. He remained a Seaman all his life (highly appropriate for an Arsenal blog!). An early trip into the iceworld was as a member of Captain Scott’s South Pole attempt. Sadly, Scott didn’t return from the Pole and a search party was mustered but Cheetham wasn’t chosen as he was a family man, having married young and producing 13 children – these navy chaps are fertile. Cheetham’s next tour to Antarctica was with the Shackleton expedition, one of the most famous and arduous expeditions of all-time. Stuck on the ice through a Polar winter, sheltering under lifeboats as their ship had sunk, Cheetham and his crew-mates waited for the return of Shackleton. 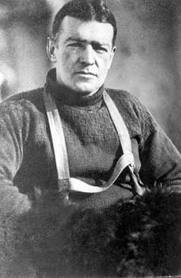 What makes Cheetham notable is that he was on both of the most famous Polar expeditions and survived. What he didn’t survive was the First World War, his ship being torpedoed in 1918. Win today and the pressure mounts upon our rivals. Draw and the task is harder, Lose and the bubble bursts ……… But we won’t. Disclaimer. If I have bokked the team and we do not win, BR takes no responsibility. Why are Arsenal looking at a new GK? Why are AFC playing Fabianksi when his contract is running down and there is no talk of a renewal? Given that Begovic is just 25, it would indicate that AW has little confidence in Szczesny and sees him as a No.2. Why? And lastly, if true, why do the Chavs always steal our transfer targets?? Another area for discussion is how the team will line up on Saturday for the game against Norwich. AW intimated that both Theo and Little Jack Wilshire will be playing. Given the excellence of Rosicky and Ramsey at WBA, should they be dropped? I cannot see an easy solution to our midfield combinations. Arteta and Cazorla are certain starters in every game (unless fatigued) which assuming a 4-4-3 means there is just one midfield place available with 3 very good players vying for it. Wilshire has to be the front-runner for the shirt; he is a brilliant player and adds much to the team, but we have looked better without him! And then there is Coquelin, who will surely leave in summer if he does’t get more pitch time – 2 minutes at WBA will not satisfy his ambitions – or will Coquelin inherit Arteta’s position? Is Wilshere tall enough to do this? We have been winning playing a 4-4-2 with Gervinho regularly moving across the attack. His unpredictability adds some much needed “chaos” to the more prosaic work of Giroud. In my opinion, we have missed Walcott, our top scorer and a much improved contributor to the team. Not often mentioned is how TW works much harder tracking back and tackling, he tends to be attacking from deeper as a result. “He’s (TR7) such an important player who turns the game forward, brings movement into the game, makes a game look simple and you feel when he has the ball that something can always happen. Not many players have that in their locker. But will Rosicky start on Saturday? I doubt it.